coconut burfi recipe | nariyal barfi | coconut barfi | thengai burfi with detailed photo and video recipe. simple and tasty indian fudge recipe prepared mainly with grated coconut, sugar and milk. 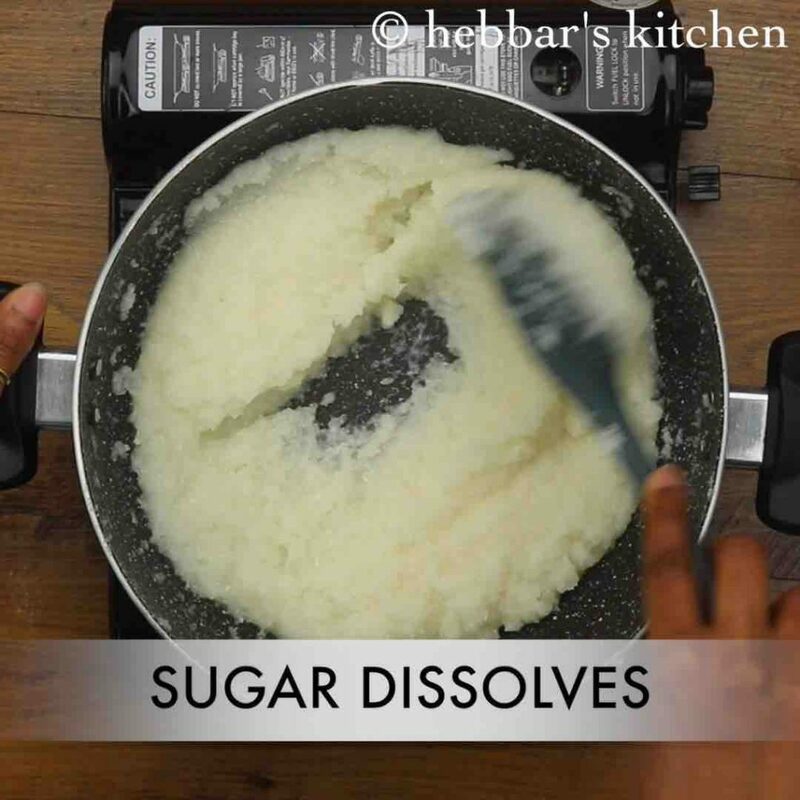 it is a common indian dessert recipe prepared during diwali, holi, raksha bandan & navaratri. 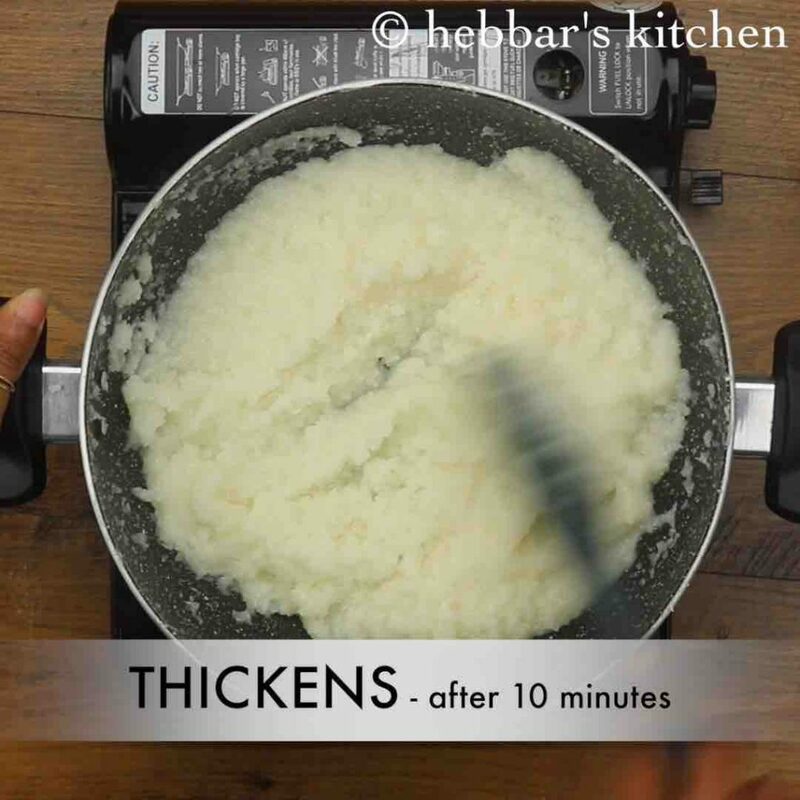 it can also be made with condensed milk and desiccated coconut, but this recipe follows the traditional recipe. coconut burfi recipe | nariyal barfi | coconut barfi | thengai burfi with step by step photo and video recipe. south indian cuisine deals with many traditional sweets and dessert recipes which holds its importance during festival and celebrations. coconut burfi recipe is one such easy sweet recipe which can be prepared with minimal ingredients yet delivers an amazing result. i have shared quite a few barfi recipes, but none can replace the coconut burfi recipe with its simplicity and taste. 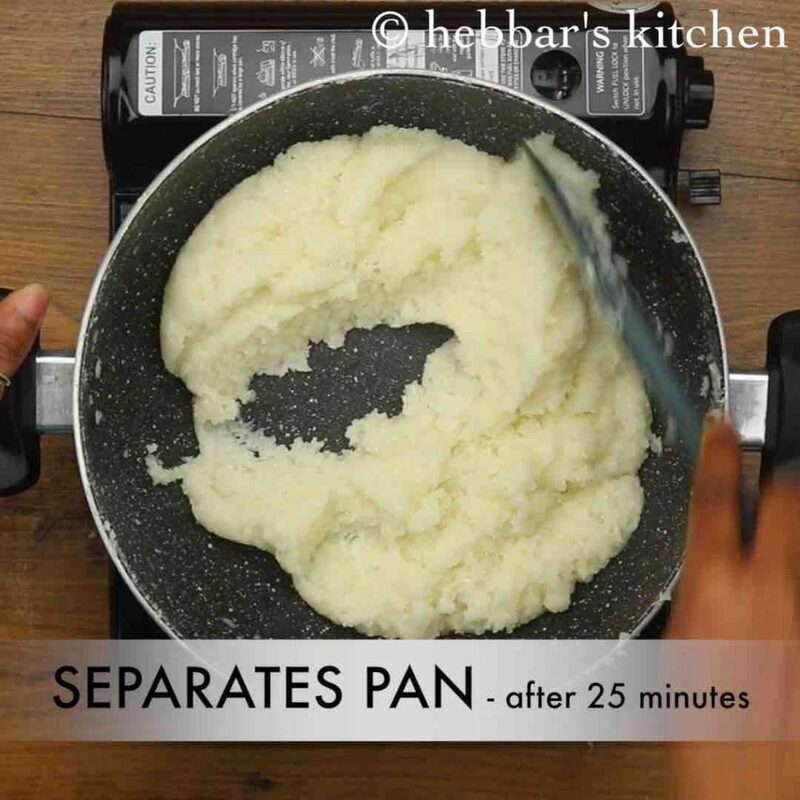 i inherited this recipe from my mother as she used to prepare it frequently during festival seasons for sharing it with friends and family. back in those days, i use to help only in grating the fresh coconut and watch next to her while she used to prepare. but things have changed drastically now. no doubt i have taken this recipe from her, but i have extended it further. basically desiccated coconut and added warm milk as compared to freshly grated coconut. 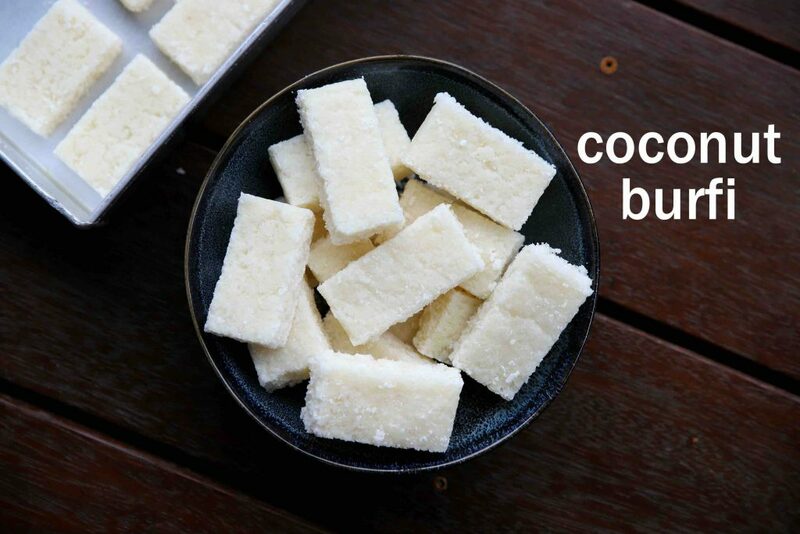 adding warm milk helps to maintain the moisture within the coconut fudge and an easy alternative to fresh coconut. 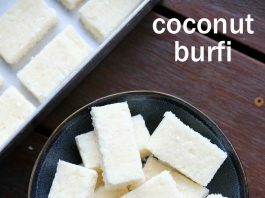 the coconut burfi recipe is easy and simple to prepare, yet some tips, suggestions and recommendations for it. firstly, and importantly, i used desiccated coconut, as i was not having an access to fresh one. if you do, i would always recommend to use it in the first place. also, even if you are using the fresh one, you can still use warm milk too. secondly, i have not added any dry fruits in this recipe and followed the strict traditional recipe. but you can top it with chopped cashews, almonds and walnuts while shaping it. 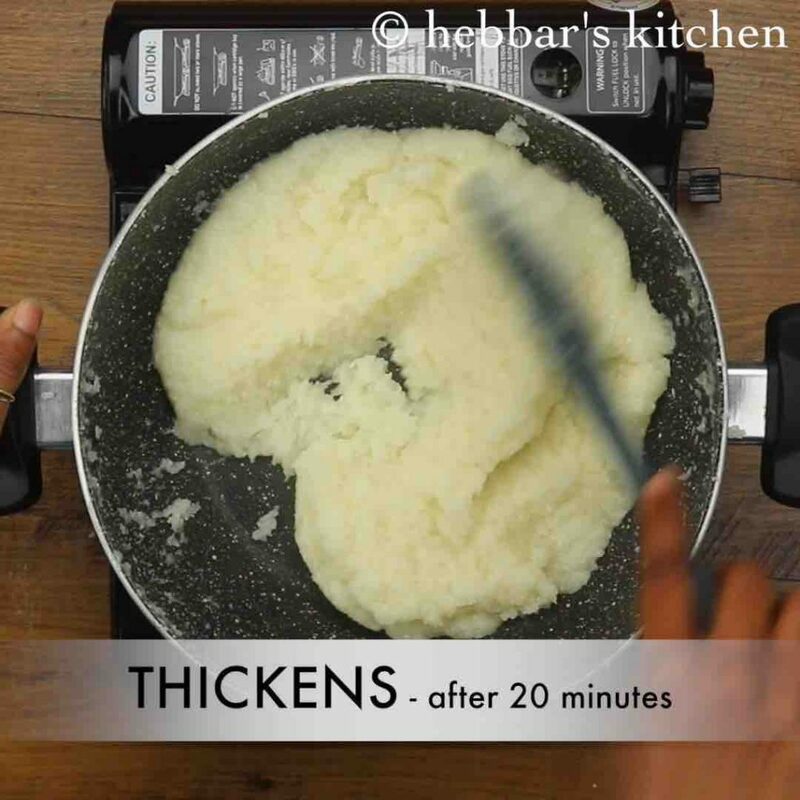 lastly, the recipe easily lasts for weeks if stored in a dry air container. firstly, take 3 cup freshly grated coconut into large kadai. 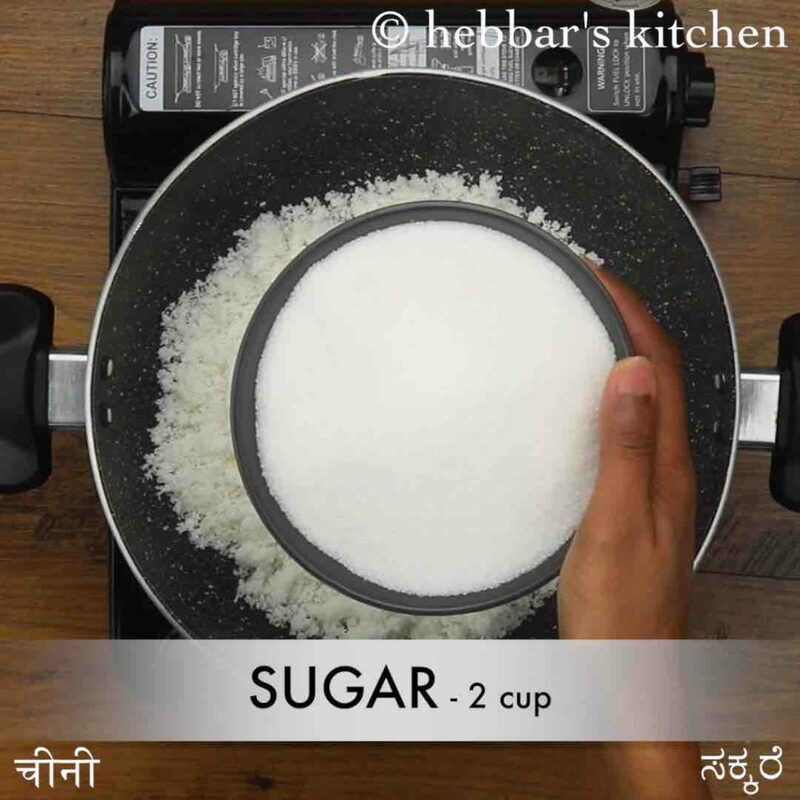 add 2 cup sugar and ½ cup milk. mix well on medium flame until sugar dissolves completely. now add 2 tbsp cream. 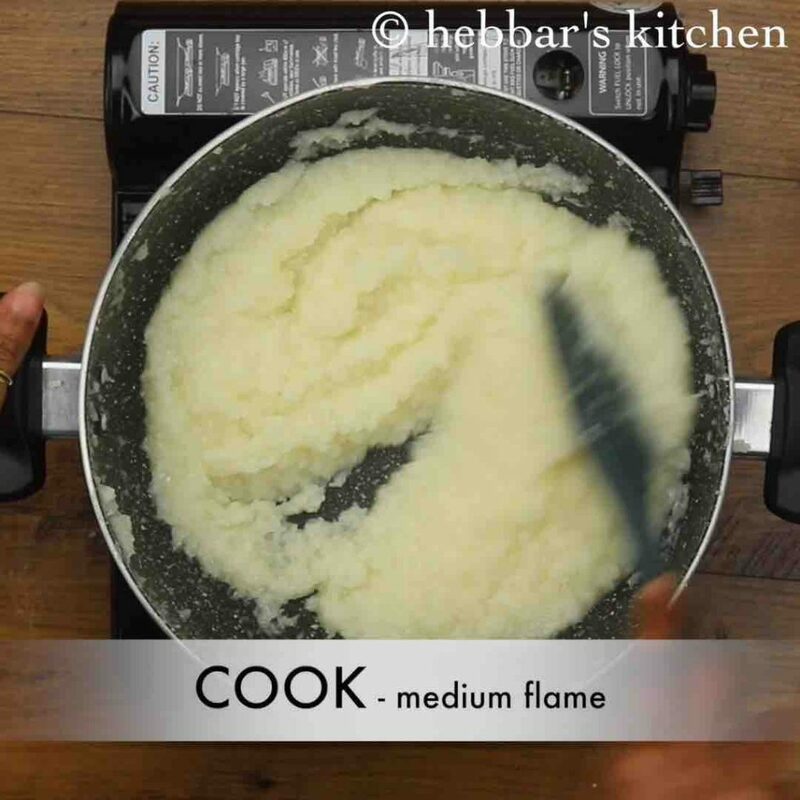 continue to cook on medium flame stirring continuously. the mixture starts to thicken after 20 minutes. and after 25 minutes, coconut mixture will start to separate from pan. 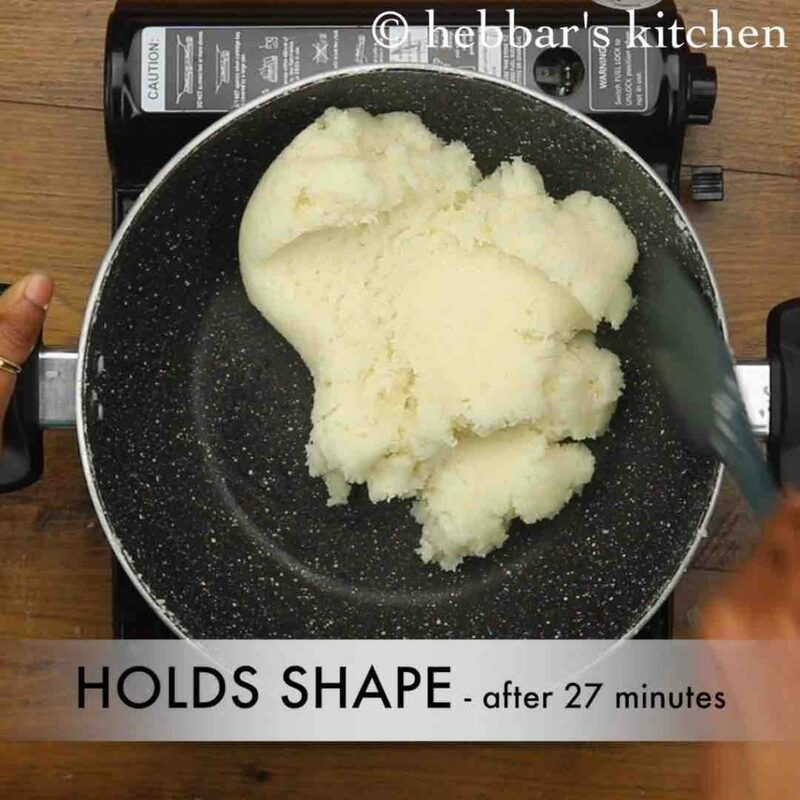 continue to cook until the mixture starts to hold the shape. 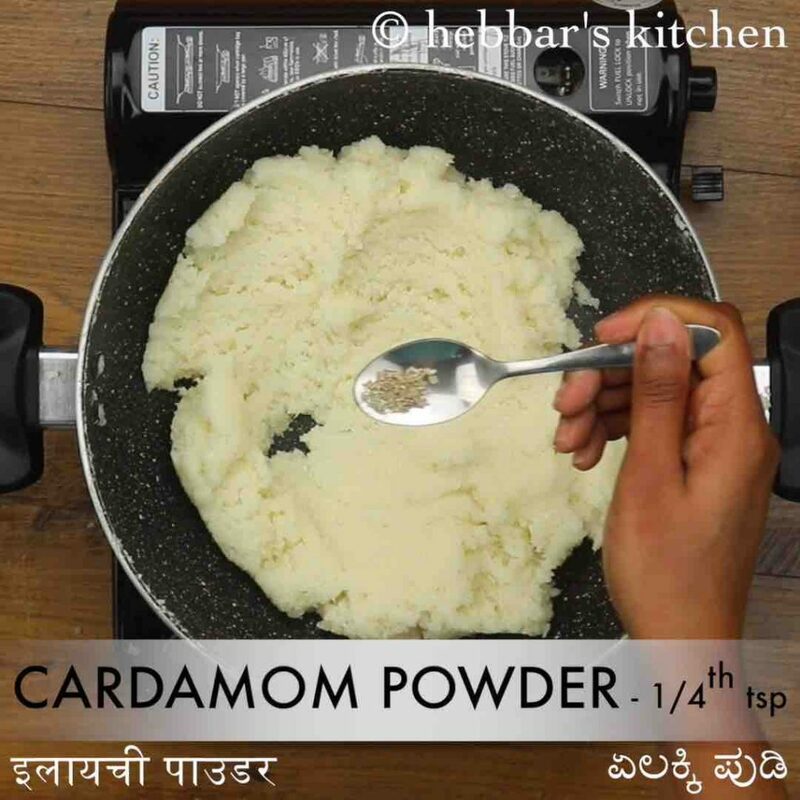 now add ¼ tsp cardamom powder and mix well. 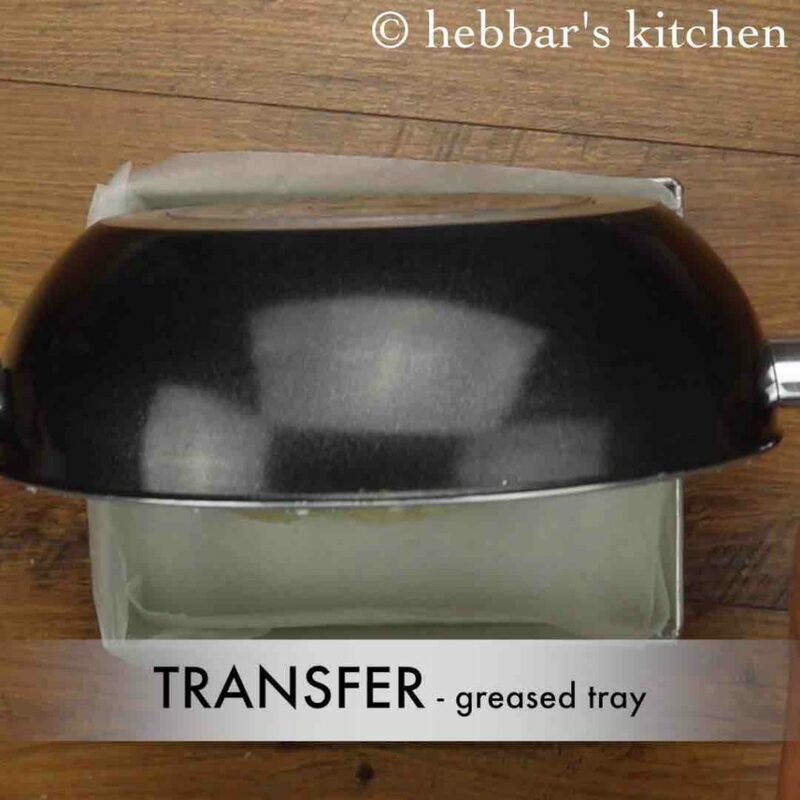 transfer the prepared dough into a greased plate lined with baking paper. set well forming a block. allow to set for 10 minute, or till it sets completely yet warm. now unmould and cut into pieces. 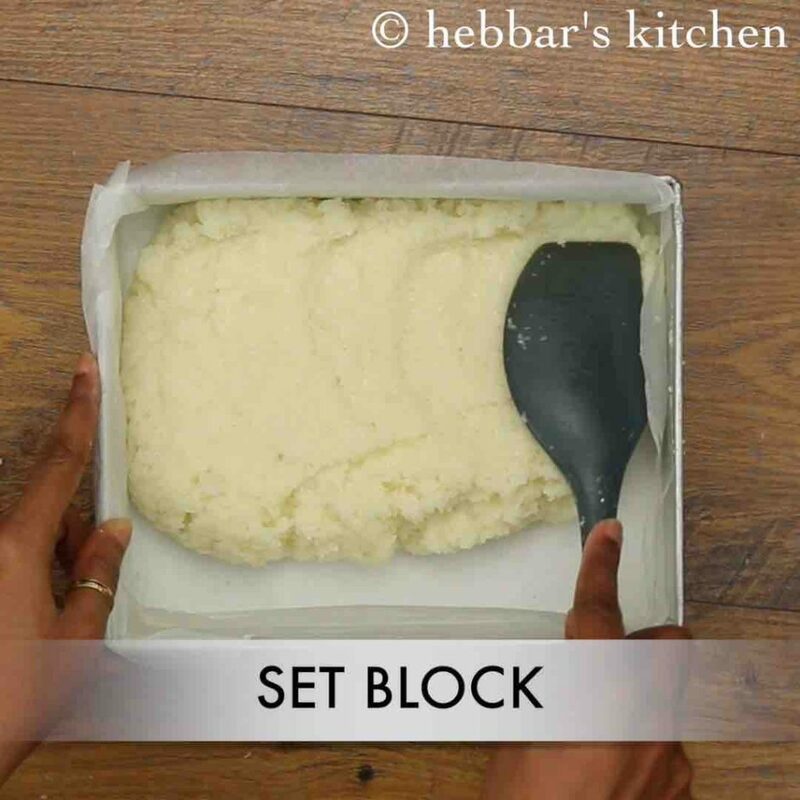 finally, serve coconut burfi / nariyal barfi or store in airtight container for a week in refrigerator. 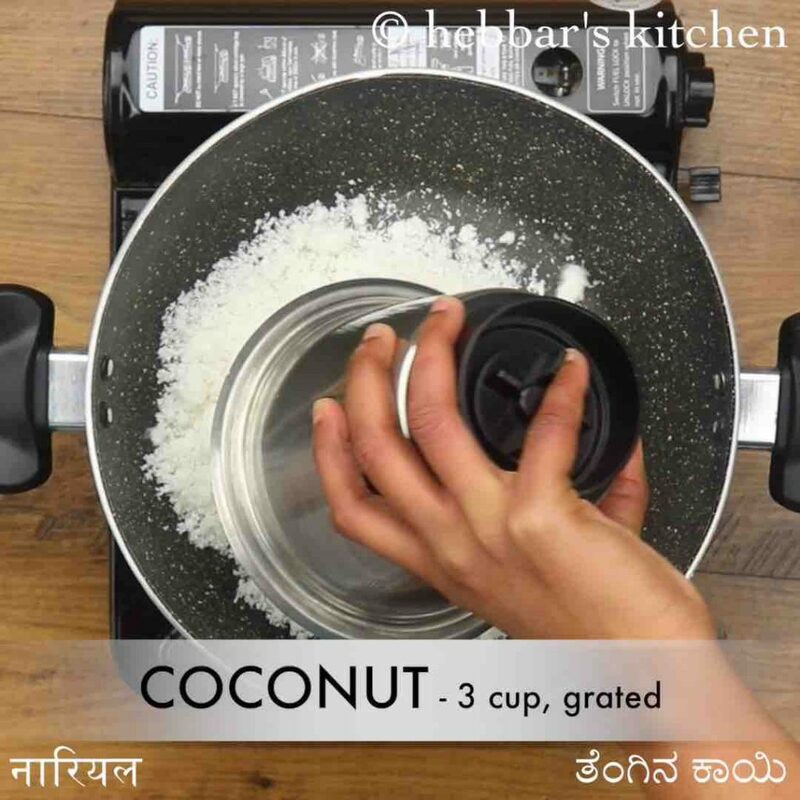 firstly, take 3 cup freshly grated coconut into a blender. 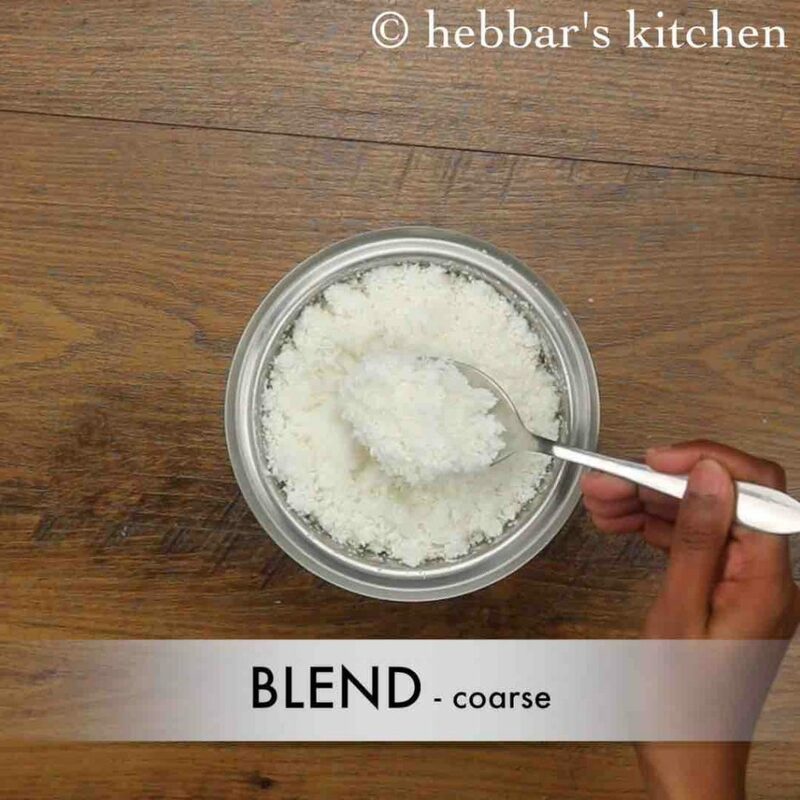 if using desiccated coconut, soak 2.5 cup desiccated coconut in ¼ cup warm milk for 10 minutes. blend to a coarse mixture, getting rid of large pieces. transfer the ground coconut into large kadai. now add 2 tbsp cream. 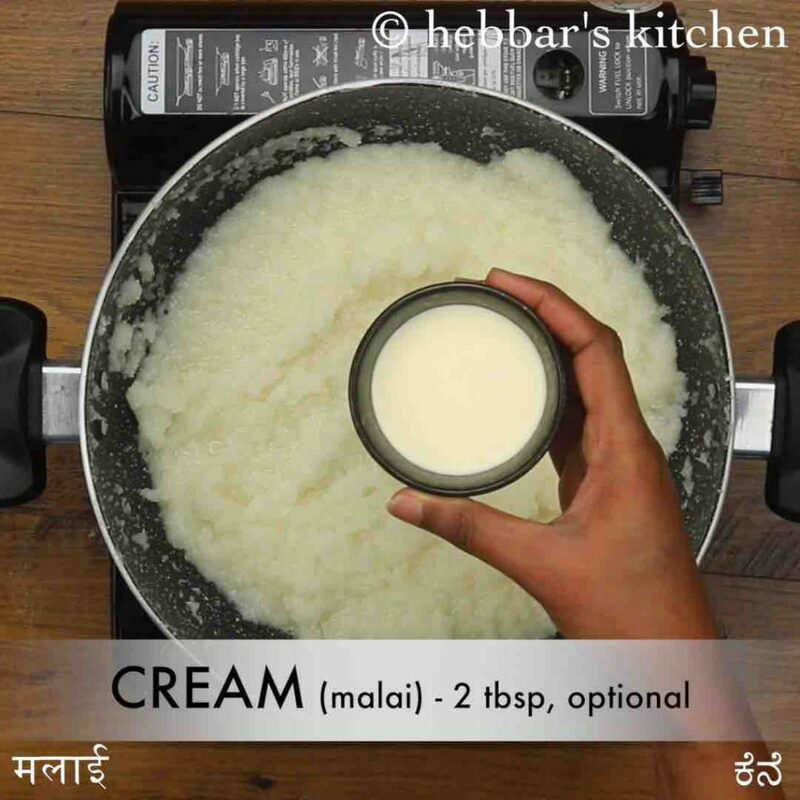 adding cream is optional, however, makes nariyal burfi more rich and creamy. 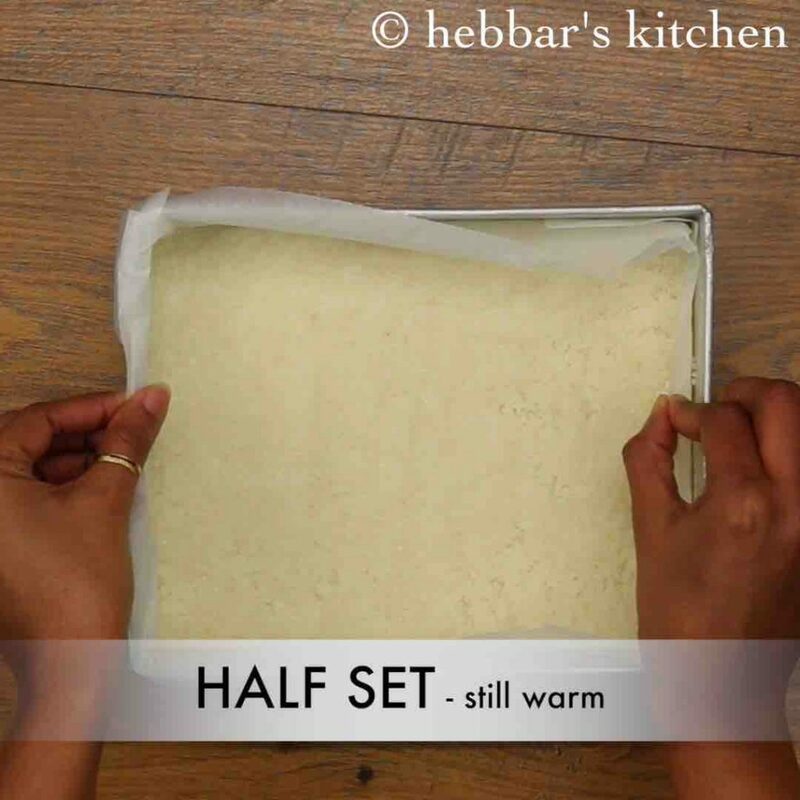 transfer the prepared dough into a greased plate lined with baking paper. alternatively, prepare balls to prepare coconut ladoo. finally, serve coconut burfi / nariyal barfi or store in airtight container for a week in the refrigerator. 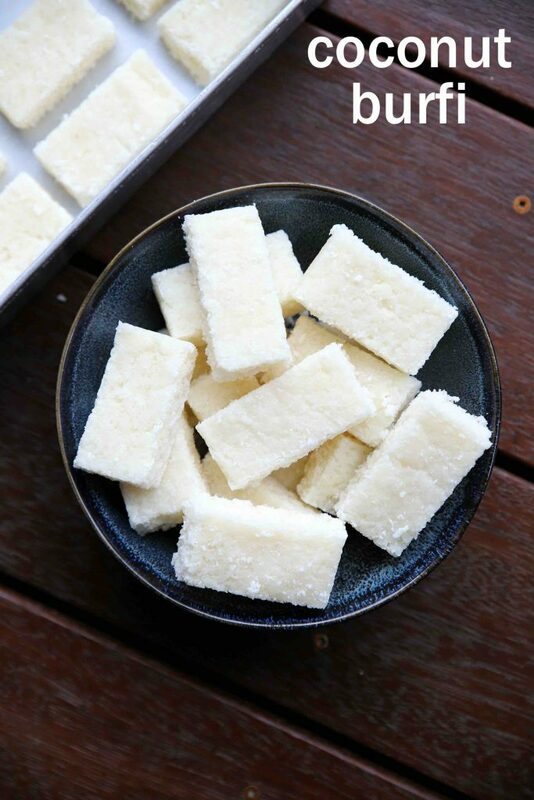 firstly, use freshly grated coconut for more juicy coconut barfi. 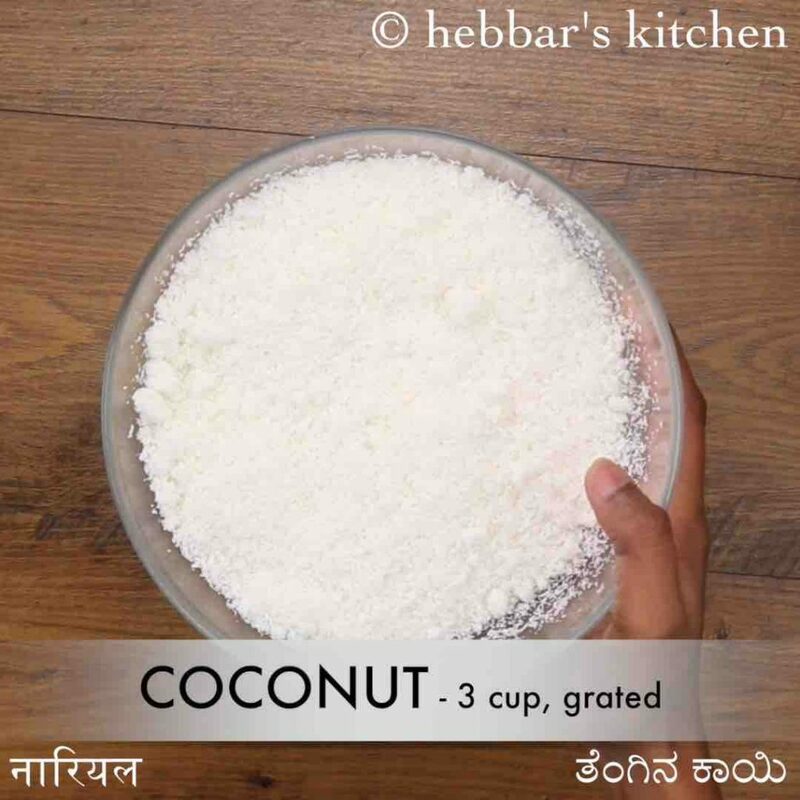 however, it can also be prepared with frozen coconut or desiccated coconut. also, adjust the amount of sugar to your preference. 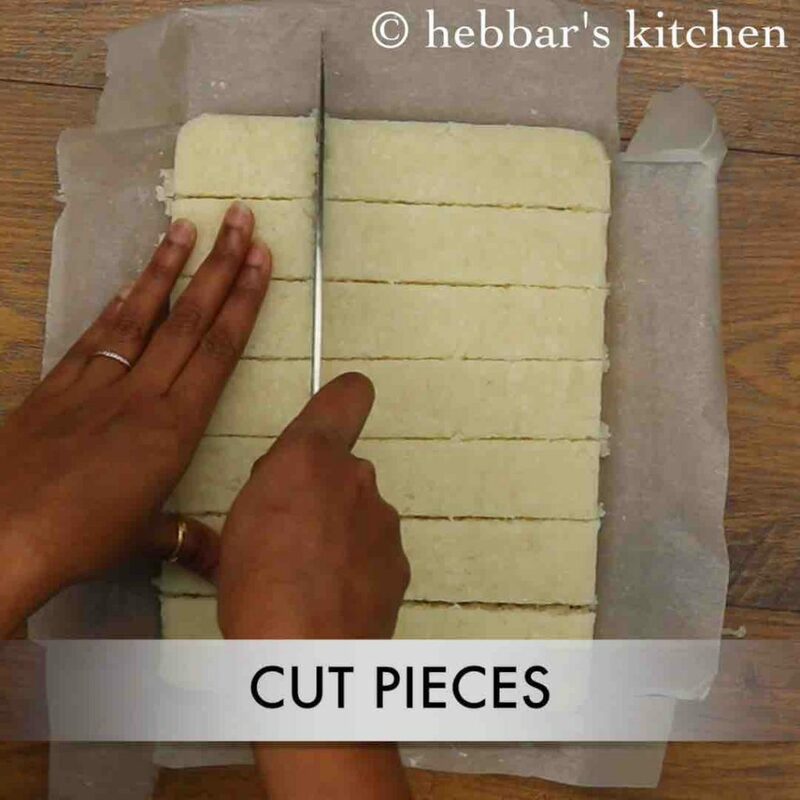 to make hard burfi, cook for more time and for soft burfi, cook less. finally, coconut burfi / nariyal barfi can also be garnished with chopped nuts.